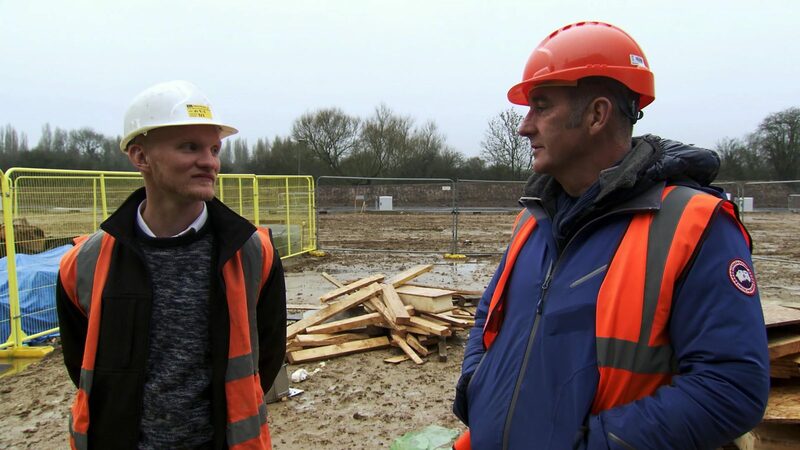 Grand Designs: The Street airs on Thursday on Channel 4 this week, with six episodes sharing the progress of the pioneer builders at Graven Hill over the last five years. 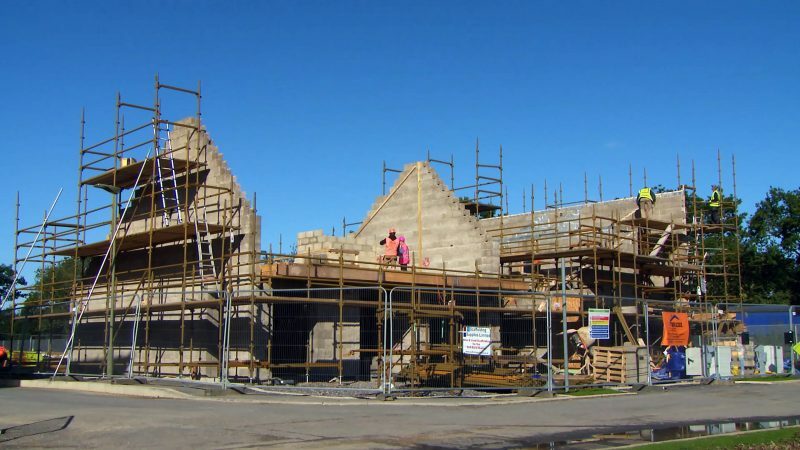 The 10 Self Builders are building in one of the areas at Graven Hill that benefit from the greatest design freedom, giving them the opportunity to create a first in the UK, a truly self-built street with few constraints on the ambitions of the Self Builders. The programme will be a watershed for Self and Custom Build as it will introduce the public to the idea of serviced plots as a route to creating an owner commissioned home, providing a resource for anyone working in the sector to direct potential customers to. Serviced plots, especially with a Custom Build model, offer the potential to bring the sector to scale and grow the opportunities for more affordable routes to be developed. NaCSBA had a pivotal role in sparking the ideas that are behind the programme, as Kevin was first introduced to Almere, the Self Build town in the Netherlands, on a study visit organised by NaCSBA and the Right to Build Task Force, as were the original councillors from Cherwell District Council that helped drive the Graven Hill site. The site, on former Ministry of Defence land, is an initiative of Cherwell District Council, which used a Local Development Order to establish a planning principle that will lead the way for 1,900 homes delivered over ten years, with many delivered though Custom and Self Build. Graven Hill is also piloting a range of new routes to home ownership at the site, such as customised terraced houses and smaller entry-level homes, the Coach Houses, as well as developing community-led projects. Together these offer a more rounded approach to Custom and Self Build at scale that offers routes into the mode for more people, opening it up to the mainstream. This makes it an exemplar for other local authorities in what can be achieved as new routes to housing supply. The six-part series tracks the initial Graven Hill pioneers, as they build their vision, with a range of ages, budgets and designs making for interesting comparisons between the homes. Using a serviced plot model makes the route to Self Building more accessible, as the challenges of planning permission, infrastructure and services are already met. Across Graven Hill, people can the choose to Self or Custom Build their home, with the Custom Build route removing some of the stress and risk of the process. “I think for many people custom-build is a much safer route, which is where you work with an architect or developer who is building a house for you which is bespoke, but you’re removed from the day to day. However custom build can be more expensive,” says Kevin. For a chance to get an exclusive, professional focussed look at the Graven Hill project, join the Right to Build Task Force’s visit on the 11 April – it’s the only organisation running dedicated learning visits. 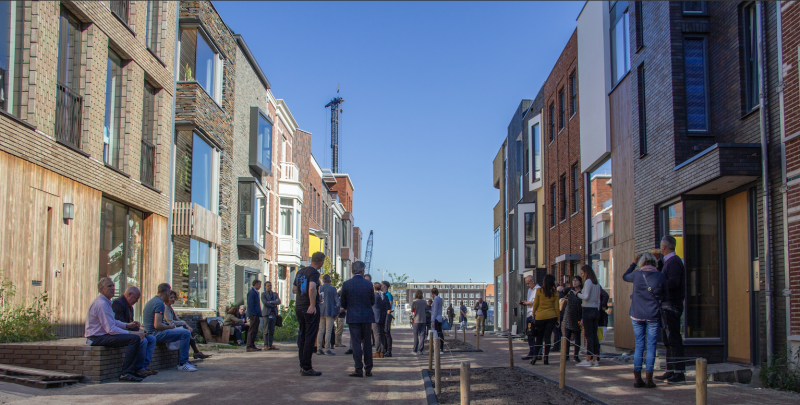 To experience some of the Netherland’s innovative and transformative Custom and Self Build developments, join the Right to Build Task Force’s Study Visit on the 15-16 May.